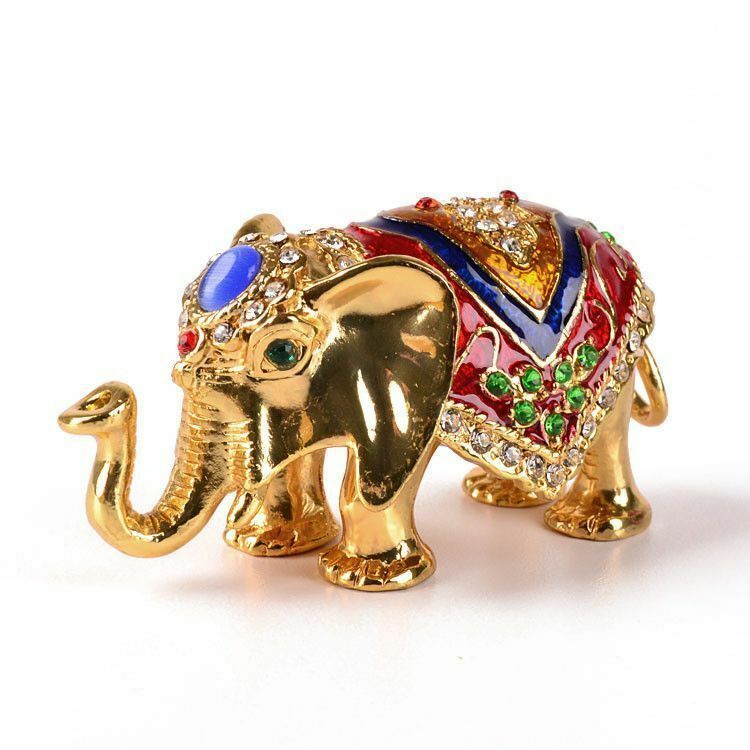 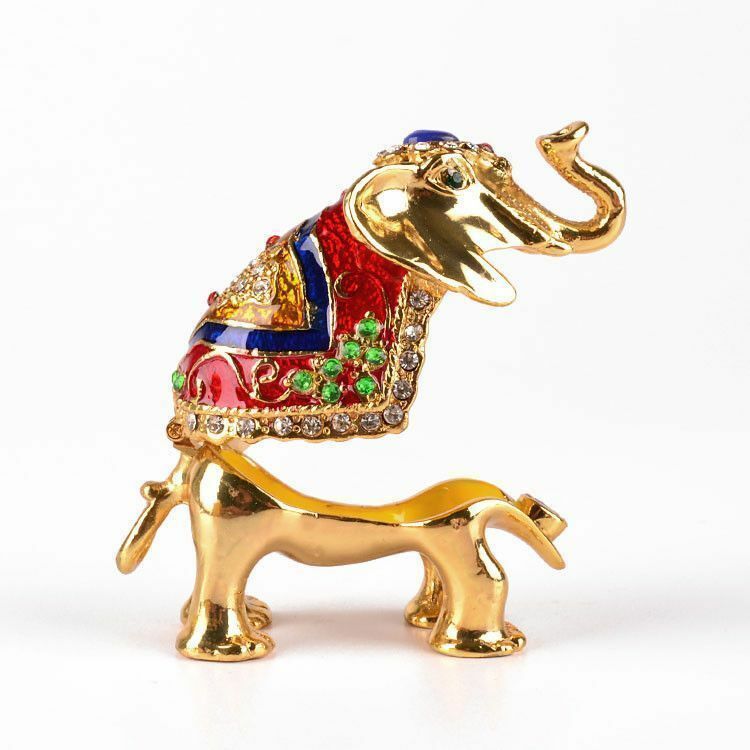 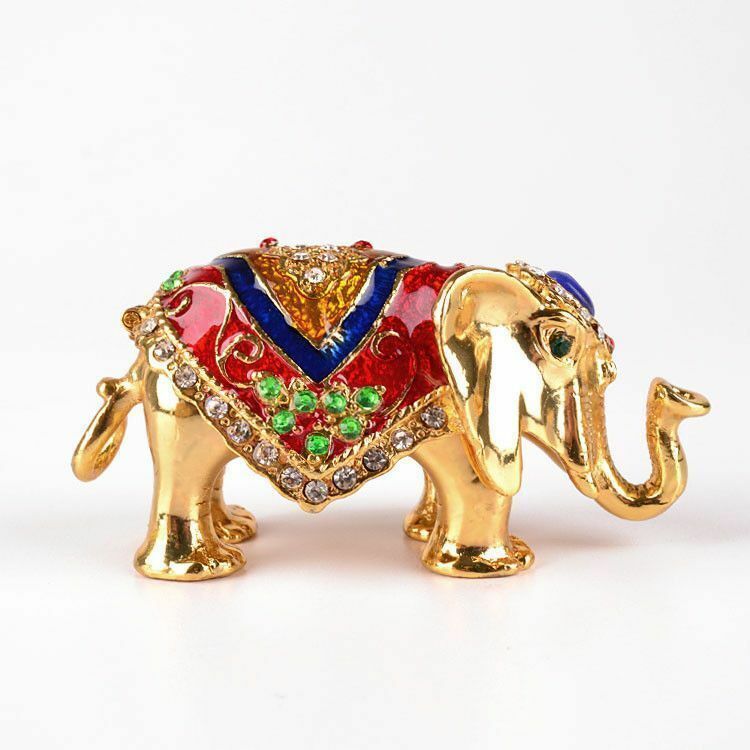 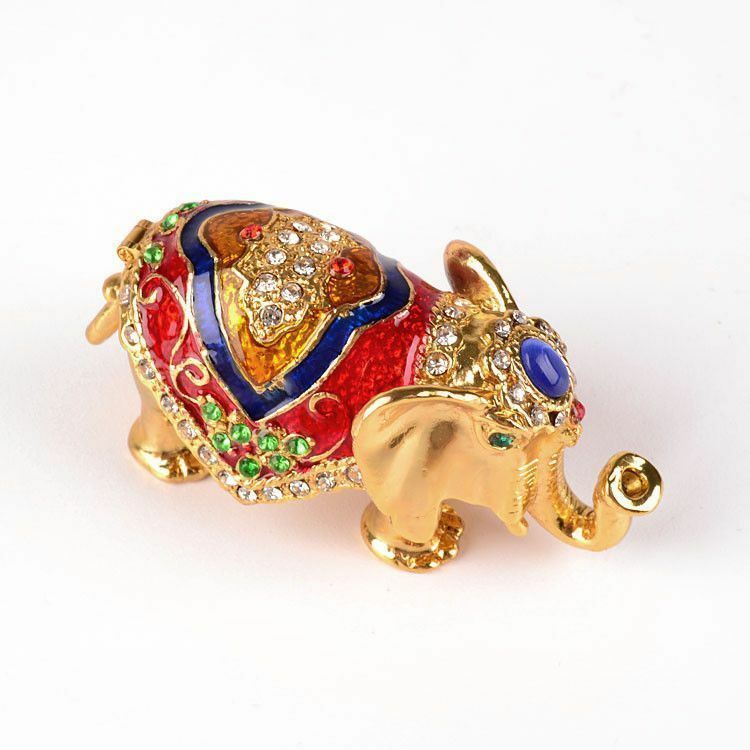 Cute and colorful elephant with secret area to store small things! 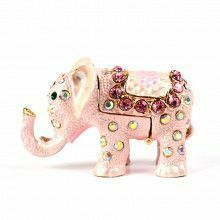 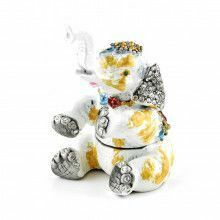 This Faberge style elephant trinket box is constructed from a strong pewter base, then hand enameled and decorated with Austrian crystals. 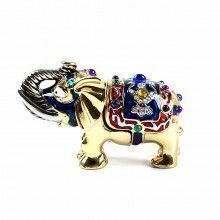 It contains one hinge and one magnet, making it easy to open and close. 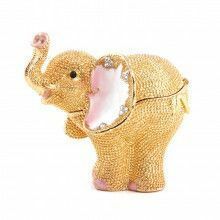 Bright yellow interior.